Chris Matchette-Downes, founder of the East Africa Oil Group, presented his group's work on understanding Western Indian Ocean hydrocarbons - based on analysing oil samples, potential field data (gravity / magnetic), continental reconstruction and geological understanding. Rogers Beall, chairman of FORTESA talked about opportunities in the "MGSBC" basin (The Mauritania, Senegal, The Gambia, Guinea Bissau and Guinea Conakry). FORTESA claims to be Northwest Africa’s only fully vertical integrated oil and gas company. We had talks from seismic companies Spectrum and TGS, and the Virtual University of Uganda, training petroleum engineering skills via distance learning. As the name suggests East Africa Oil Group or EAOG is a group created to explore for oil plays along the flanks of the Western Indian Ocean from Cape Town northwards to Somalia and oceanwards from Madagascar to the Comoros, Seychelles and the Cambay region of India. The group comprises five explorers who have been continuously active in this region, either individually and collectively, with various companies over the last couple of decades. During that time some 270 oil occurrences have been examined, mostly by directly obtaining and analysing oil samples. The results are now integrated with their local and plate settings. 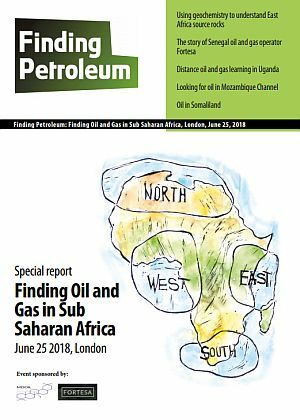 The result is that EAOF understand the origin and distribution of the East Africa margin hydrocarbons and are able to determine where commercial oil will most likely be found. The Finding Petroleum presentation will both explain our approach and provide insight into the our understanding of this emerging hydrocarbon province. Discoveries of several billion barrels of oil and hundreds of TCF of natural gas in Eastern Africa in recent years, for sale to markets around the Indian Ocean. It may be the most exciting place in the world for resource extractive industries today. Experienced in product development and launch, Mikki has introduced agile product development processes to ensure proposed products are relevant, competitive and reach market quickly. This includes launch of new and innovative online and blended learning offers. A strategic thinker and leader of major customer focused change programmes, Mikki’s hands-on approach always keeps a strong focus on customer needs, analytics and data-driven customer acquisition and retention. Matched with her digital achievements on transformation programmes in implementing CRM and CMS systems, email, website and social media solutions she works tirelessly to get the strategy right and then drive it through delivery. With a background in potential field data analysis and interpretation gained during various offshore expeditions with the Polar and Marine Research Institute 'Alfred-Wegener-Institute Bremerhaven' (Germany) Felicia has worked the past 5 years in TGS’ Geotechnical Interpretation team, before she joined the Africa and Middle East group. TGS now extensively incorporates gravity and magnetic crustal modelling studies as part of regional seismic interpretation products, assessing new frontiers and survey planning. As an experienced geoscientist her work focussed on seismic facies and play fairway analyses of 2D and 3D surveys and basin modelling. Including potential field data analyses in any study has the advantage of identifying the tectonic framework in the study area - a necessary step when entering a little explored basin. Thermal modelling is also a crucial component of TGS’ onshore products and well based studies with the objective of a full prospectivity or potential exploration assessment. MDOIL's purpose is to assist governments promote their neglected oil and gas exploration acreage in frontier areas to international oil and gas companies by; the analysis of vintage data sets; providing new geochemical and geological analysis; new geological understanding, modern digital data packages and by creating frontier exploration groups or companies to attract investment.